I currently have admitting rights to the following London private hospitals: the Hospital of St John and St Elizabeth (in St John's Wood), and Parkside Hospital, Wimbledon. 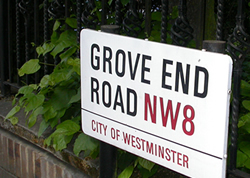 I am a Consultant Plastic, Reconstructive and Aesthetic Surgeon working in London. My NHS commitments are shared between St George’s Hospital in Tooting, and Queen Mary’s University Hospital in Roehampton. I have a special interest in general plastic surgery and skin malignancies. I am a member of the Government’s Melanoma Taskforce: an expert panel of skin cancer and melanoma specialists convened to develop strategies to tackle the rising incidence and mortality rates from the disease. My other special interests include aesthetic and reconstructive surgery of the ear and breast, vascular malformations, and post-bariatric surgery. As part of my day-to-day work, I regularly participate in governance and audit, training of postgraduate junior doctors and medical students, as well as continued personal development. I am a mentor for 6th form students and teach them practical skills at the Royal College of Surgeons. 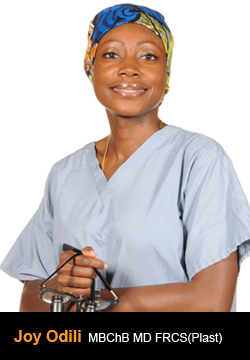 I also mentor female medical students interested in a career in surgery. My plastic surgery training spans 15 years, with experience gained in the top teaching hospitals in London (Mount Vernon Hospital, Royal Free Hospital, St Thomas’ Hospital, Chelsea and Westminster Hospital), and St Andrew’s Hospital in Broomfield. Special interests were developed with a fellowship in Paediatric Plastic Surgery at Great Ormond Street Hospital, London, and an Aesthetic Surgery fellowship at the prestigious London Clinic. My research involved the development of antibodies that specifically target melanoma. These antibodies have been developed to detect and destroy micrometastases in early disease in melanoma patients. Early work demonstrated the destruction of melanoma cells in vitro, with no side effects seen in the animal model. These antibodies may one day provide one-step staging and treatment of melanoma. A Hunterian professorship was awarded by the Royal College of Surgeons in 2002. An MD was awarded by the University of London in July 2006. Doctors’ Update: I am a member of the organising committee for Doctors’ Updates, an annual multi-specialty meeting held in Val d’Isere. The meeting aims to provide high quality updates in Plastic Surgery, as well as enjoyable skiing! Teaching of Medical Students and Core trainees: I organise the undergraduate programme in Plastic Surgery at St George's Hospital Medical School, and provide weekly lectures to medical students. I am also the lead Consultant, in charge of all core trainees in Plastic Surgery. I am a member of the Surgical Training Commitee in Plastic Surgery. I am involved in the recruitment, assesment and training of surgical trainees. Art: I have an A’ Level in Art and regulary attend art classes in the evenings. I particularly enjoy drawing still life and portraits. I enjoy travelling with my family, and I am an advanced PADI-qualified diver.